My last review of 2016. Happy new year everyone! 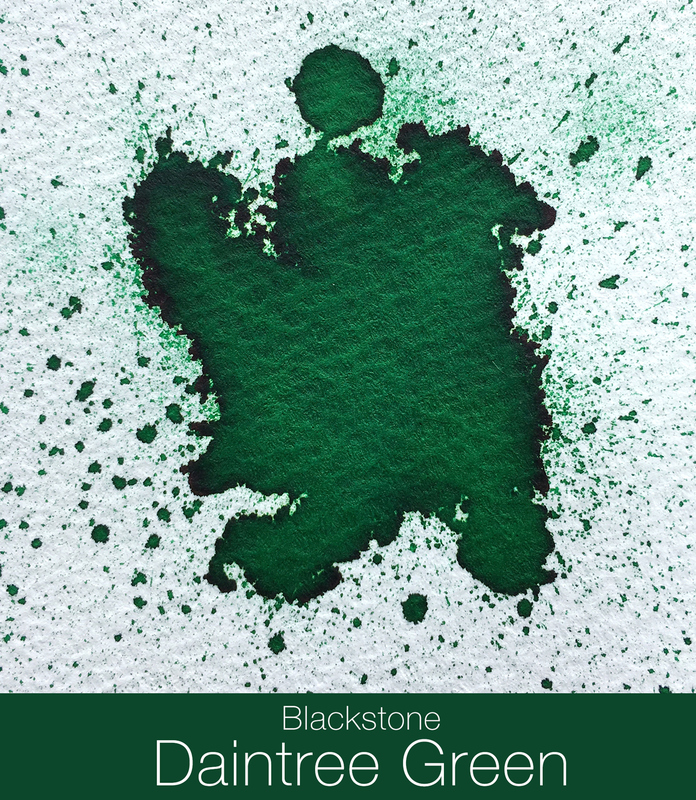 I like Blackstone inks. They don't have a wide range of inks but they are generally well behaved. They all write very wet and smooth (sometimes maybe slightly too wet). I enjoy their uniform quality. Not many brands can make their inks with the same good behaviour. Some brands are more of a hit-or-miss. Edited by visvamitra, 31 December 2016 - 11:16. Lovely review LG... HAPPY NEW YEAR!!! Ahh, but the Daintree Rainforest is not a murky forest (been there, done that!). It has this lovely dappled light shining through the trees. 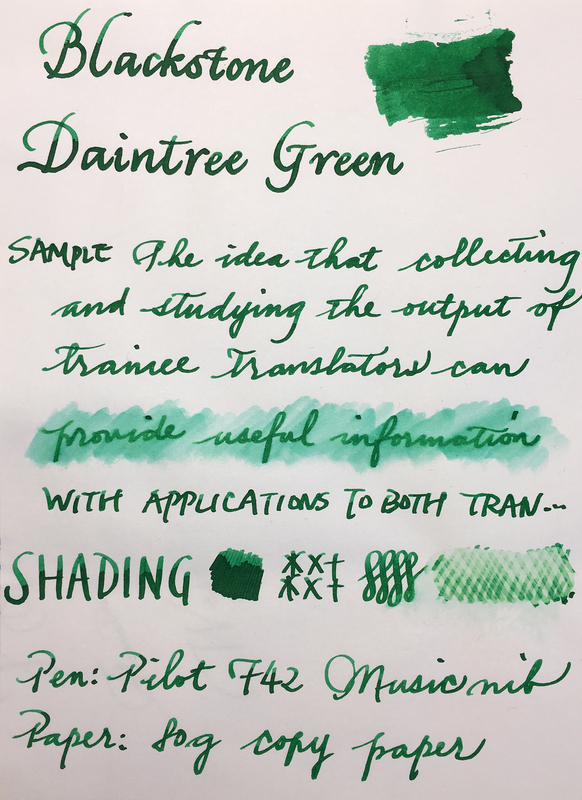 I found this ink to be a perfect representation of the greens you see there, especially with a less wet pen and paper that can show lots of shading. I have this lovely memory of being woken up by a cacophony of birds cavorting* over their early morning breakfast in the undergrowth. Great review! I like this color. 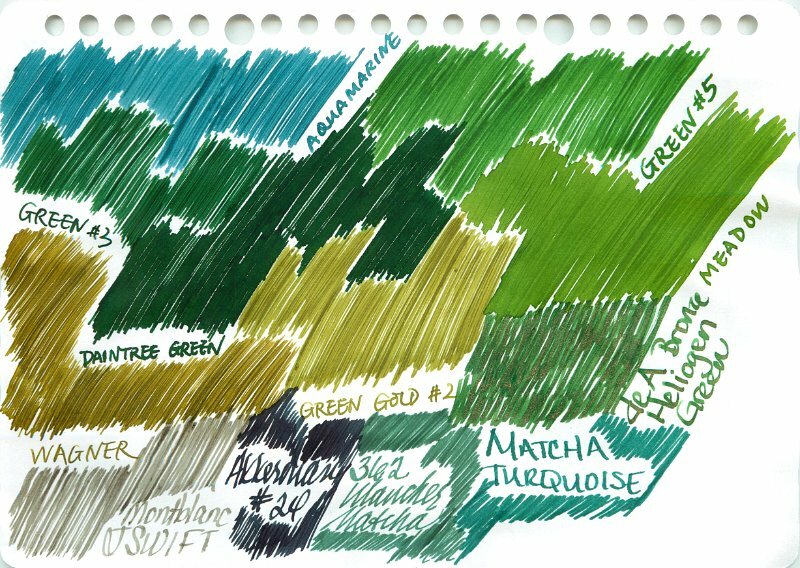 I recently discovered this ink via the Andersons and it has quickly become one of my new favorite greens. Thank you, LG, I love this ink. Eww, I've just found out this ink turned goo in the pen! AH! That's surfactants at work. Shake it and it will "ungel" and return to ink. Oh, good to know. (I've cleaned it out anyway.) I checked the bottle and it's fine. I have seen your video...elsewhere....looks odd. But I agree with amberleadavis. Shake it vigorously. But I still thing that it should not happen. That's good to hear. I'm glad it's not SITB. Actually I filled my pen with a Sailor ink right afterwards hoping the phenol may help disinfect the pen.